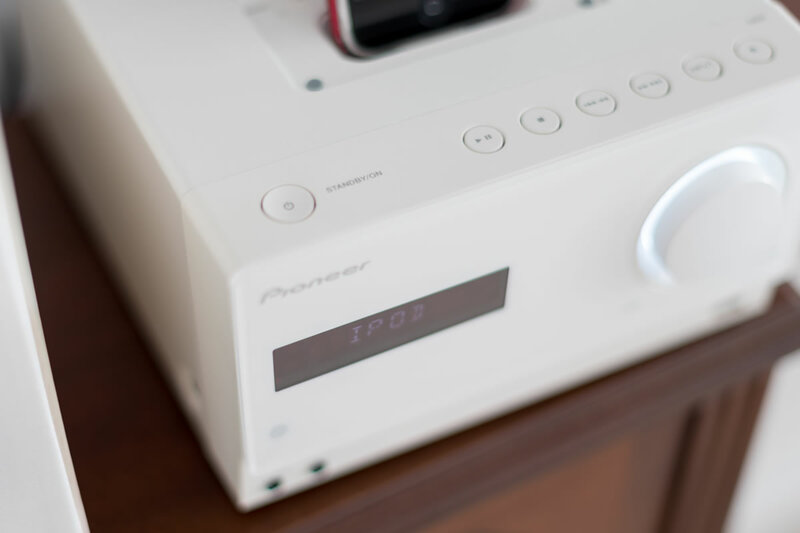 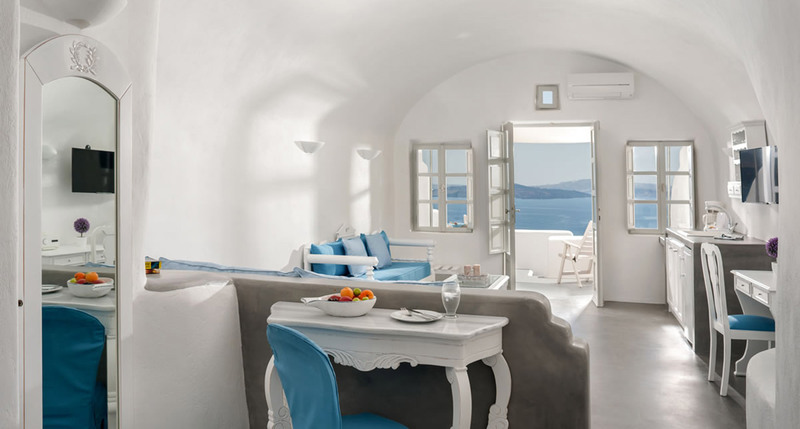 Enjoy ultra comfort and elegance in Standard Thirea suite with spellbinding views of the volcano and the sea. 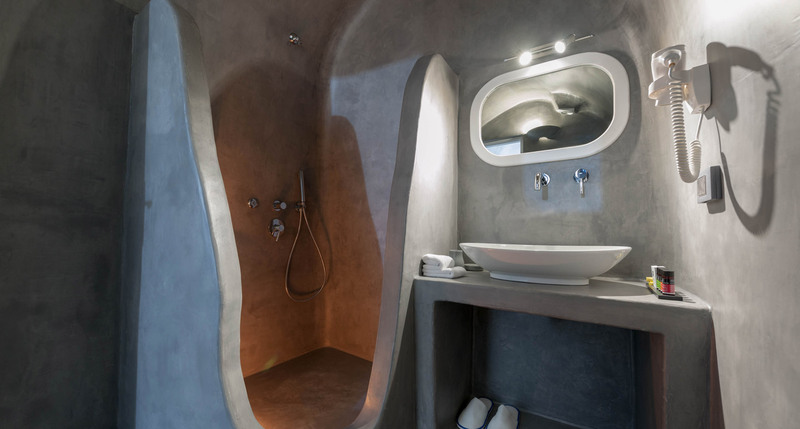 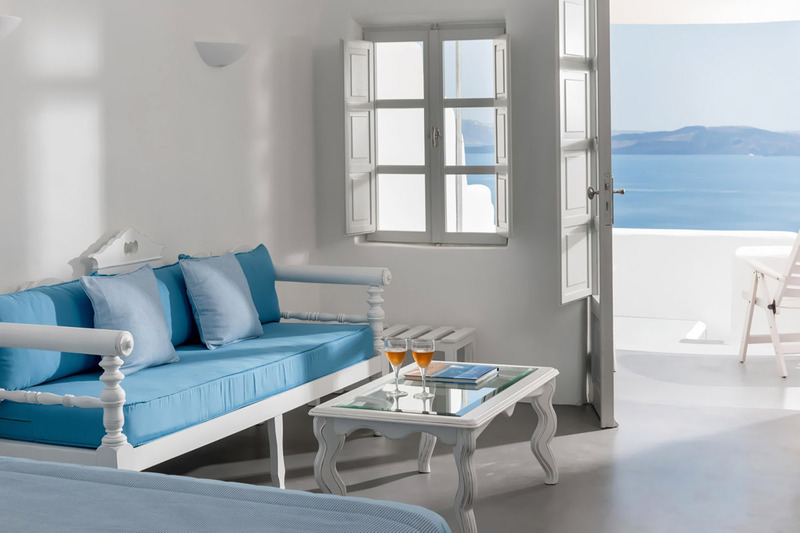 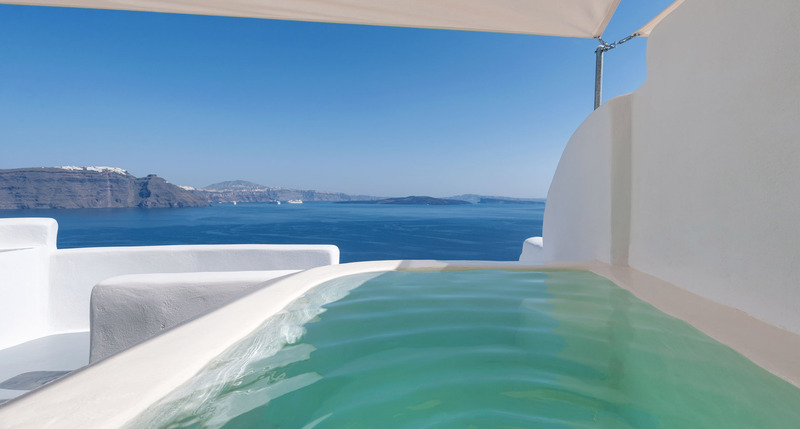 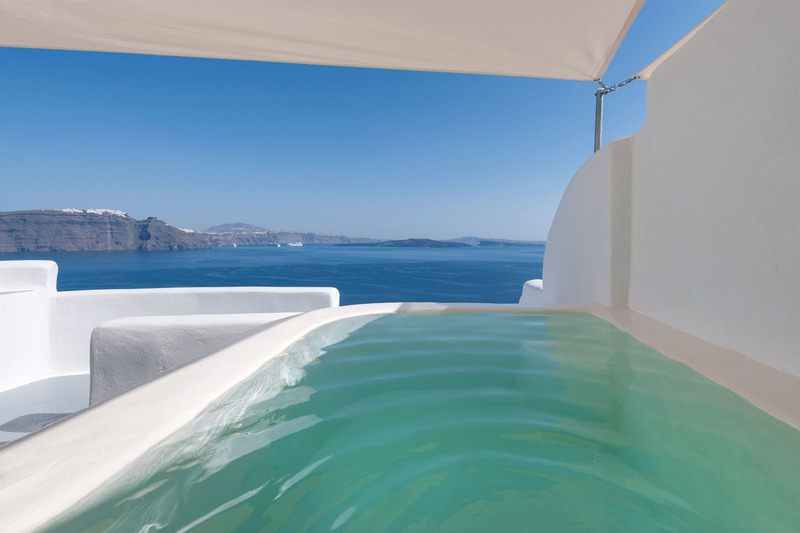 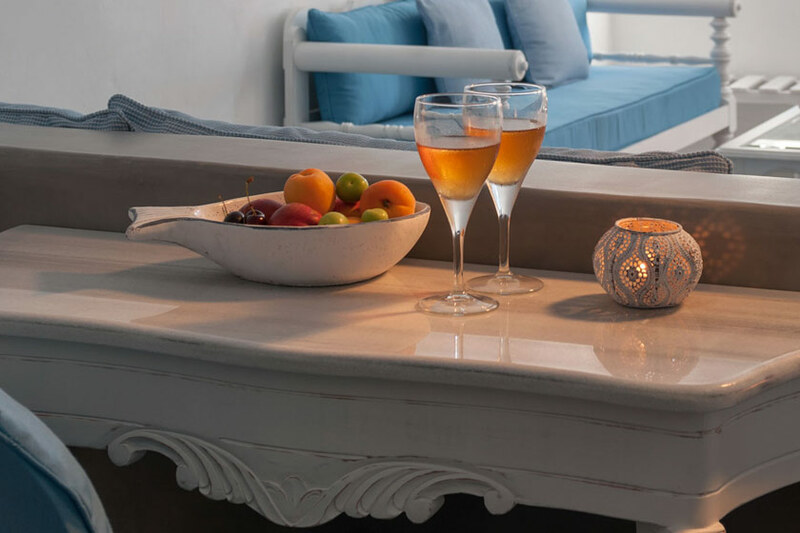 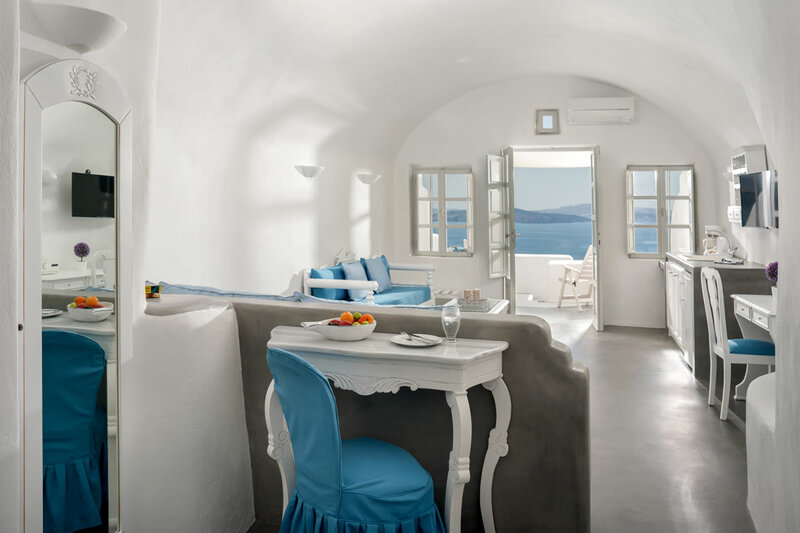 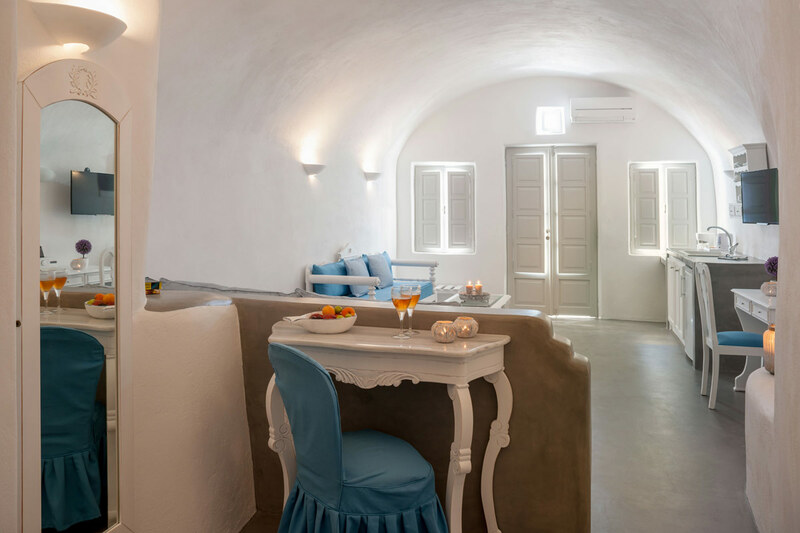 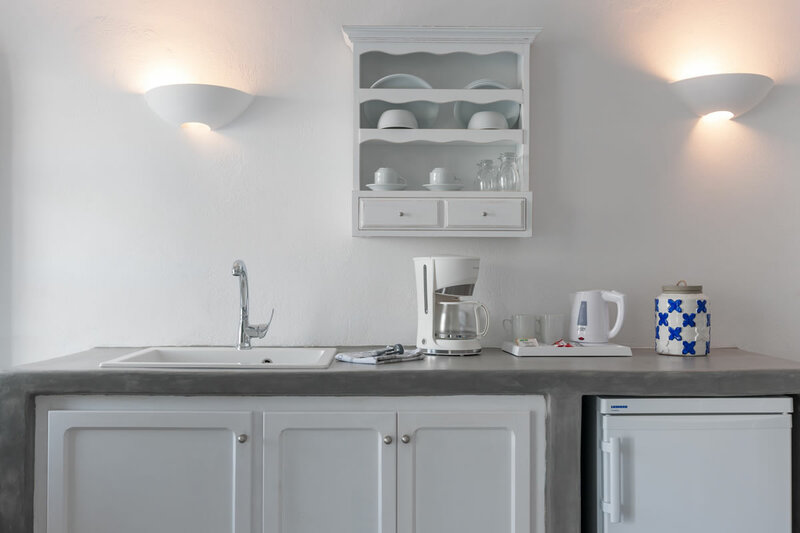 Spend relaxing days in Santorini and enjoy ultra comfort and elegance in luxury Thirea suites. 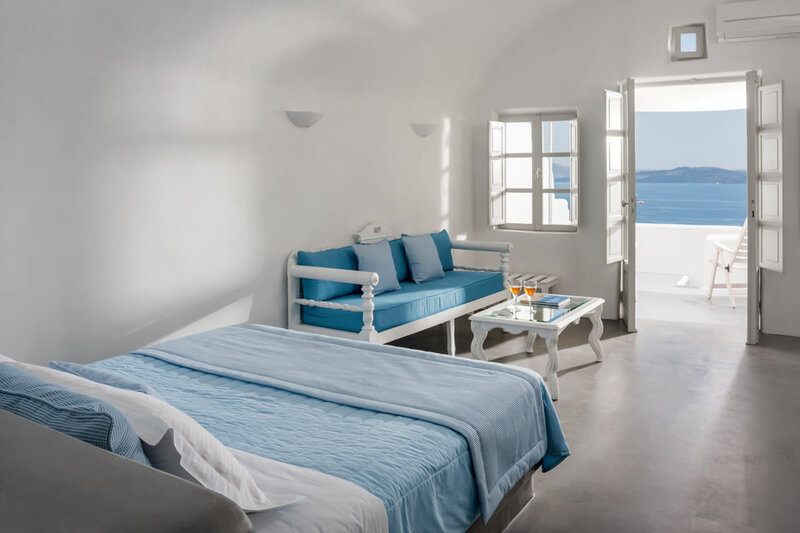 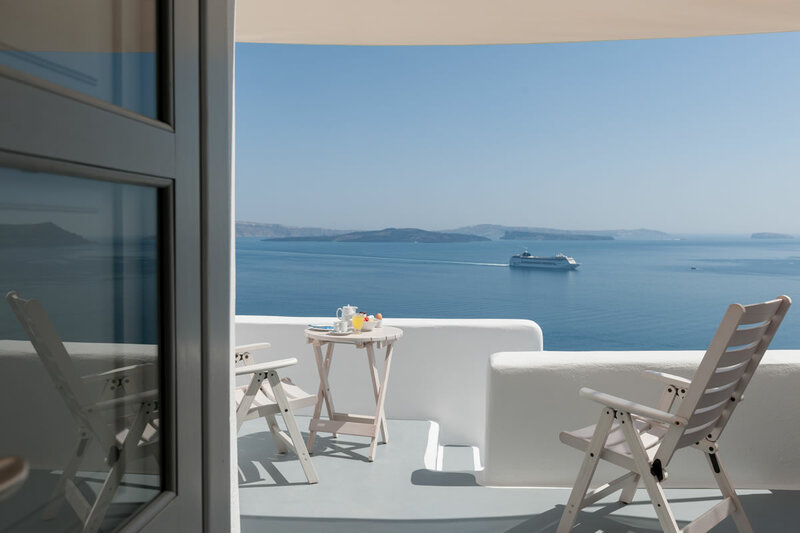 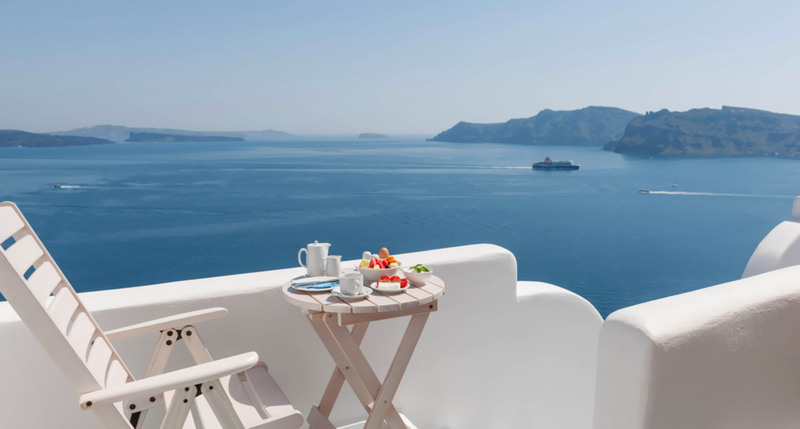 During your stay in our sophisticated standard Thirea suite in Santorini you will enjoy the spellbinding views of the volcano and the sea from its private terrace equipped with sun beds. 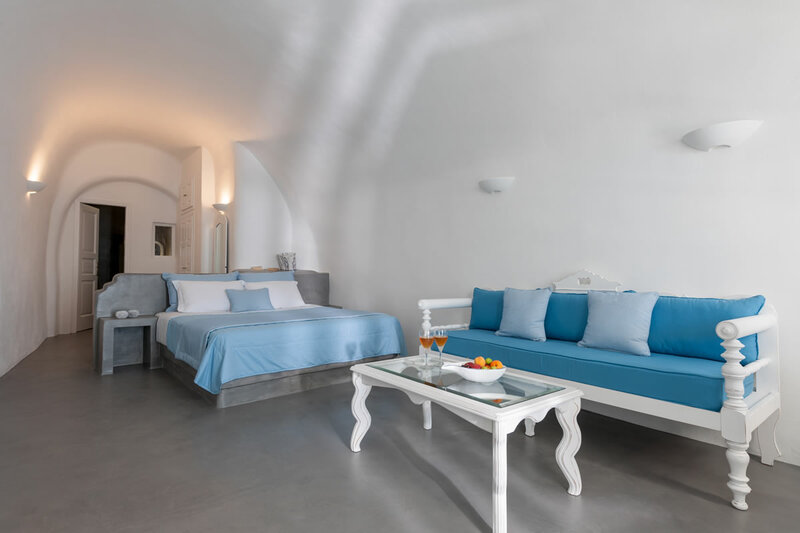 It is facilitated with Queen Size bed and bathroom with bath amenities. 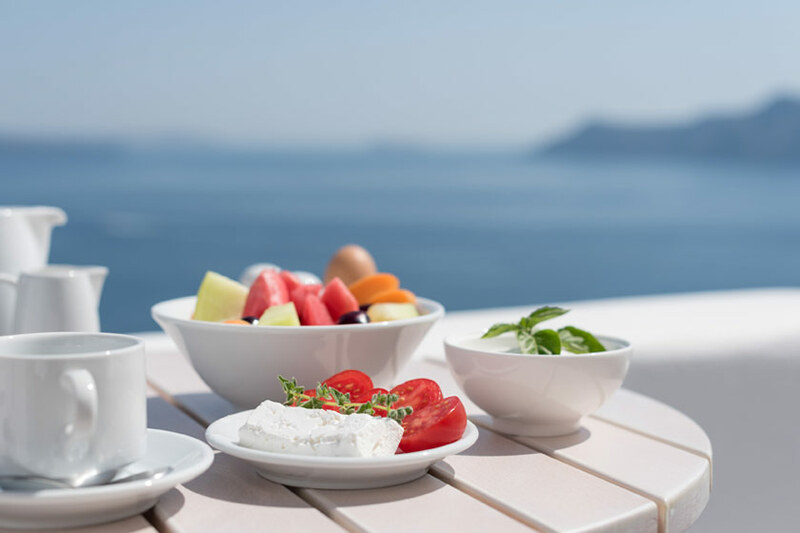 Breakfast is served in your suite.